It seems like everyday the UFC has some sort of new mini-series type show. This one is called “UFC on the Fly”, which has a mini “UFC Countdown” feel to it. In this one we get a look into a day into the life of UFC Featherweight Conor McGregor. 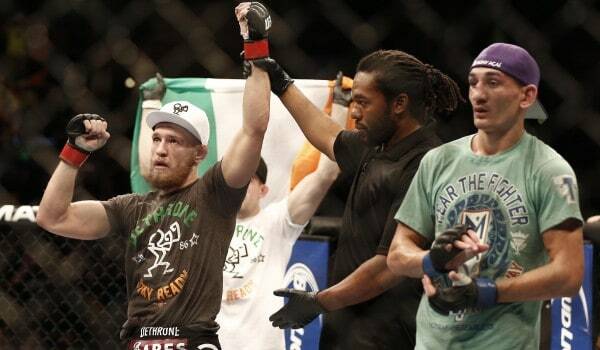 McGregor will be headlining UFC Fight Night 46 against Diego Brandao in his hometown of Dublin, Ireland at the O2 arena. McGregor, who has been on the shelf for nearly a year due to an ACL tear, looked great in training with UFC Welterweight Gunnar Nelson. We also hear McGregor speak about his first experience at the O2 at UFC 93, being just a fan in the stands, and now he’s headlining an event there.